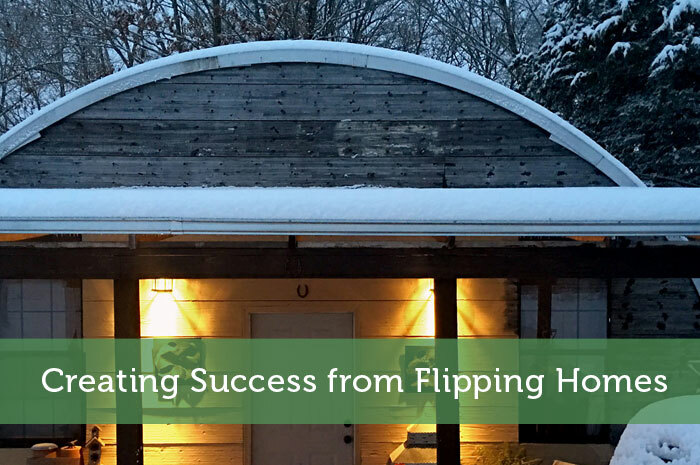 If you ever dreamed of getting into real estate investing, you probably have heard of flipping homes. It’s simply buying a house or a property with intention to renovate it, sell it and make money. For this strategy, it is best to spend some time concentrating on housing markets. Once you know the market, and the real value of property in the area, you might have a chance to buy a house below the market price and sell it for more (flip it). Bank real estate foreclosures may be viable source to find houses in average condition that can be quickly be renovated and sold for profit. Review comparable properties in the target neighborhood. Because the flipping homes strategy relies a fair bit on the market conditions, a successful house flipper needs to understand potential adjustments that need to be made to reconcile a home’s value. How much are increases in square footage, additional bathrooms, and other modifications worth? Understand the absorption rate in the local market. Before you decide to flip in a neighbourhood, know how many days on market (DOM) properties typically have before they sell as well as the trends. Are the days on market increasing or decreasing month over month? Recognize that house flipping leads to varying lump sum income. The amount of profit from a deal depends on the project, the property, and it’s fair market value. Be warned that flipping will most likely not lead to predicable income, but it is a proven way to build up cash reserves. We have previously discussed this concept in breaking down the real estate investment income landscape. A word of caution, there is a lot that can go wrong in the process of flipping a house. It is important to be as precise as possible on the after repaired market value (ARV) of a property, particularly in a competitive market. If you are careful, you might be able to make reasonably consistent profit out of it. How might one be successful at house flipping? To be successful, you need to know what to do. Do not rush into things. Make sure you know someone who can help and advise you on construction and renovation work that might be needed. It might also save you money and provide them with an ongoing work relationship. Research the market, know the prices and area you are interested in. Think of the buyers too. Who would be a potential buyer in that area and what would they expect of the property. There are some golden neighborhoods with older homes that you can turn into a posh, hip area by doing some work there. Make sure you chose popular areas. In that case, you can set the asking price. Otherwise your property might sit on the market waiting for months and you will find yourself knocking down the price. Investigate the property before buying it. This will give you an idea of work needed to be done and approximate costs. If you watch flipping homes programs on TV, do not get too excited. They tend to show only the people who bought properties at great prices and sold them quickly for a huge profit. While watching those programs can educate you in the means of costs and potential building problems, it is worth remembering that not all people are so lucky. Concentrate on the curb appeal from the outside. Find out who the area is popular with and make it appeal to them. Look after the garden, paint the outside if necessary. Sometimes people may like extra security like cameras. You run out of money because you either didn’t set enough money aside for extra costs or you went over your budget. You didn’t have enough time. It is also connected to the point above. To save money, you might have to move into the house you are working at, do most of the job yourself. Make sure you have that free time. Otherwise you will quickly spend your money on builders and so on. Then your property will be left standing for months and you will leave the project. You didn’t have enough skills or knowledge. As mentioned above, before you get into flipping homes, you should familiarise yourself with construction, renovating, buying and selling procedures as much ad you can. Remembering the simple points outlined above will increase your chances of success. Before undertaking a flipping project, consider creating a business plan for this real estate investing strategy. Also check out these books on flipping houses.